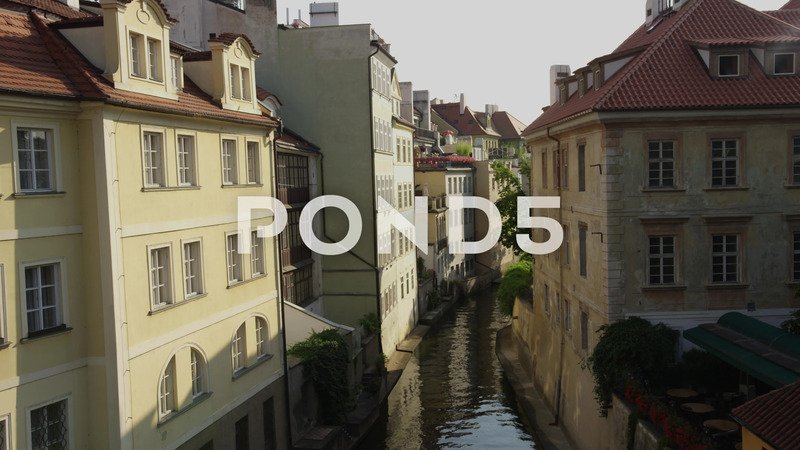 Description: A moving shot from Charles Bridge of a canal surrounded by buildings. A bird flies through the frame near the end of the shot. 4k.